You are here: Home / Business & Politics / Important Macro Economic Indicators you need to track as an Investor! 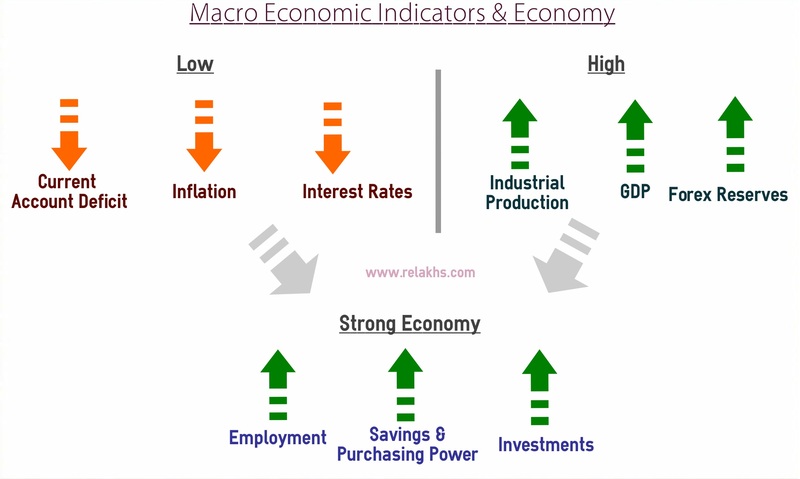 Important Macro Economic Indicators you need to track as an Investor! As an investor who would not like to know where the economy (India) is headed and what is going on in the economy. If you have a big picture as to what is happening in the Economy, you will be in a much better position to plan your investments. The performances of financial markets are influenced by a host of reasons. From government reforms and policies, inflation data, to quarterly results of the company etc., has a strong bearing on market performances. 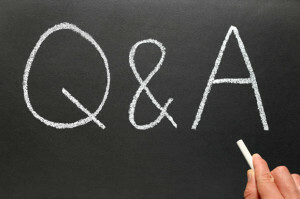 There are certain very important indicators that can give an overall idea on the Economy. These are referred to as Macro Economic Indicators. An economic indicator could be considered as any piece of information that can help you (investor) understand what is going on in the economy. Economic Indicators are classified as Macro and Micro factors. Whereas, the Micro Indicators give you an idea on how supply and demand interact in individual markets for goods & services. For example, whether price rises in the automobile industry are driven by supply or demand changes. What is GDP? – It is the market value of all goods and services produced in the country. A positive forecast of GDP growth can lead to positive impact on Equity markets over a period of time. As per the CSO (Central Statistical Office), India’s GDP growth at constant market prices is projected to increase to 7.6 % in FY 2016 from 7.2% in FY 2015, making it amongst the fastest growing large economies in the world. As per the World Bank’s report, India’s GDP growth will remain strong at 7.6 percent in 2016 and 7.7 percent in 2017. But there are various factors that can affect GDP especially rainfall & Govt’s policies. Industrial Production – It is measured by the Index of Industrial Production (IIP). Industrial production indirectly affects your investments. If IIP numbers are good, it can lead to high GDP growth rate and hence, higher household incomes/savings. Fiscal Deficit and Current Account Deficit (CAD) are referred to as the twin deficits. Fiscal deficit is the difference between the government’s expenditures and its revenues. Whereas, CAD is the difference between exports and imports by a country. If the value of imports exceeds the value of exports by a country, it leads to CAD. CAD is one of the major macro factors that can affect your investments directly. If the deficit is not at manageable levels, the Govt may take necessary corrective steps to bring it under control. For example – to curb gold imports, couple of years back govt has hiked import duty on Gold, which lead to increase in Gold prices. We import Oil from foreign nations. So, low levels of Oil prices can lead to lower CAD in India and vice-versa. Generally, high CAD results in higher interest rates and low CAD results in lower interest rates. A shrinking CAD can also lead to low levels of Inflation. If you look at current estimates, Fiscal Deficit as percentage of GDP (at 3.9% for FY 2016 and 3.5% for FY 17 estimate) and Current Account Deficit as percentage of GDP (projected at 1.4% of GDP in FY 2016 estimate) are well within the comfort zone. Inflation – It can be defined as either a rise in prices or a fall in the value of money. Inflation directly impacts your finances and monthly budget. Higher inflation leads to low purchasing power. High inflation leads to lower real rate of Return. These two things (Supply of money and cost of credit) are closely monitored and controlled by RBI. The inflation and growth in the economy are primarily impacted by these two factors. Acceptable or lower retail inflation levels has lead to RBI decreasing the Repo Rate (the rate at which RBI lends to commercial banks), in its latest credit policy review (Oct’16). Ideally, lower Current Account Deficit, interest rates and inflation on the one side and higher GDP growth, Industrial Production & Forex reserves on the other side, can lead to higher employment generation, increased Household Savings rate and better Purchasing Power for the common man. Stable government, efficient Budget proposals, good monsoon etc., are also major macro factors to watch out for. Kindly note that all the above factors are inter-linked. 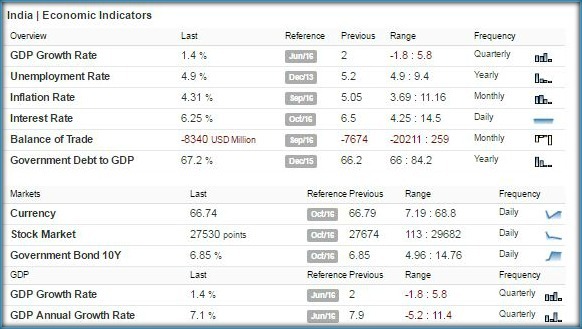 Besides macro economic indicators, the micro factors and external factors (like geo-political, performance of international financial markets etc.,) would also affect your investments. Best article I have ever read .. thank you for sharing such valuable information . Dear ajay ji ..Very tough to predict interest rate cycle for the next one decade! May I know if you are totally dependent on the income generated by this corpus? Can you afford to take risk? Are you looking at wealth accumulation or periodic income (withdrawal)?? Dear Srikanth, thanks for another excellent article. I’ve around 20k per month savings from my salary. 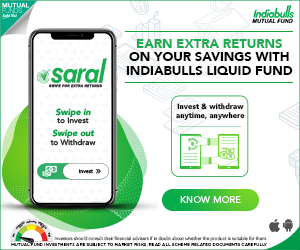 I want to invest in MF through SIP which funds should I choose? My primary goal is wealth creation, risk appetite high. Timeline is 15 years or more. Before you start investing, please make sure you have enough Life and Medical Insurance (dependents also, if applicable). How much high risk is high cannot be evaluated easily, so I generally recommend that you need to set specific goals (like 1 or 2 crore in 10 years). Now use any goal calculator to find out much per month you need to invest – this will vary based on the %age assumption. For anything lower than 9%, it is low risk appetite you just need good Debt funds (Per month investment will be higher). Between 9 – 15%, you need a combination of Equity and Debt funds. Anything about 15% will require significant investment in Small or mid cap Equity funds (Highest risk and the investment amount will be smaller). Yes I’ve adequate life & medical cover for me & family. I needed suggestion on creating my MF portfolio, what funds should I choose? Since my investment horizon is long, I can absorb volatility, I’m inclined towards Equity for better returns. I’ve created a portfolio- ICICI Pru Focused Bluechip 4000 + HDFC Midcap Opprt 4000 + DSP-BR Micro Cap 4000 + BSL Tax Relief 96 6000. How’s my portfolio, any change you suggest? 1 – How to select the right mutual fund scheme? 2 – Mutual Fund portfolio overlap analysis tools. I want to do online business, where I’ll get items from local markets and sell them online with ebay, snapdeal etc. Do I need any of the following ? Trade license, company registration, VAT/TIN numbers, registered office ? Any special requirements? Any legal problems if I do it beside my private job? Dear Deepak ..Kindly consult a Chartered Accountant. Critical concepts explained in a lucid manner! You are absolutely right that the investor needs to keep himself updated of the developments in the economy else he may end up in a loss-making investment. Risk arises out of not knowing what one is doing. If one is aware of the state of economy and the sectors which would grow, one is definitely going to earn returns corresponding to the risk assumed. Beautiful and easy to follow article ! will be very useful to small investors like me !! Thanks for this service, Sreekanth ! Thank you sir for your appreciation. Keep visiting! Awesome tips, Thanks for sharing..!! As an Investor, I’m much aware of such kind of posts but unfortunately, I missed this one. You really acquired an up to date information. Keep it up..! !